PHANG NGA: An olive ridley sea turtle, or tao ya, was found laying eggs on a beach in this southern province on Saturday (Feb 2), in the first such reported sighting in 23 years. 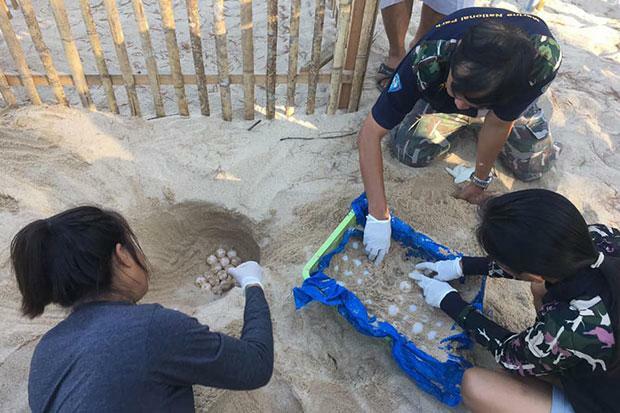 National park staff place the eggs of an olive ridley sea turtle on a tray after a local resident found the eggs on Bo Dan beach in Phang Nga on Saturday (Feb 2). The olive ridley was last spotted laying eggs in the national park in 1996. Mongkhol Liewwiriyakul, head of Khao Lampee-Hat Thai Muang National Park in Phang Nga province, said he and park staff went to Bo Dan beach in Thai Muang district after being alerted at around 6.50am on Saturday. Traces of a turtle’s presence were found in the area outside the national park. Officials dug a hole about 25 centimetres deep and found many eggs of an olive ridley sea turtle, said Mr Mongkhol. A total of 81 eggs were found, each about 3-4cm in diameter. They were taken to a centre monitoring turtles laying eggs at Wat Tha Sai, where they will take about 45 days to hatch naturally. The hatchlings will then be handed over to the Department of Marine and Coastal Resources to care for before they are released to the sea, said the national park chief. 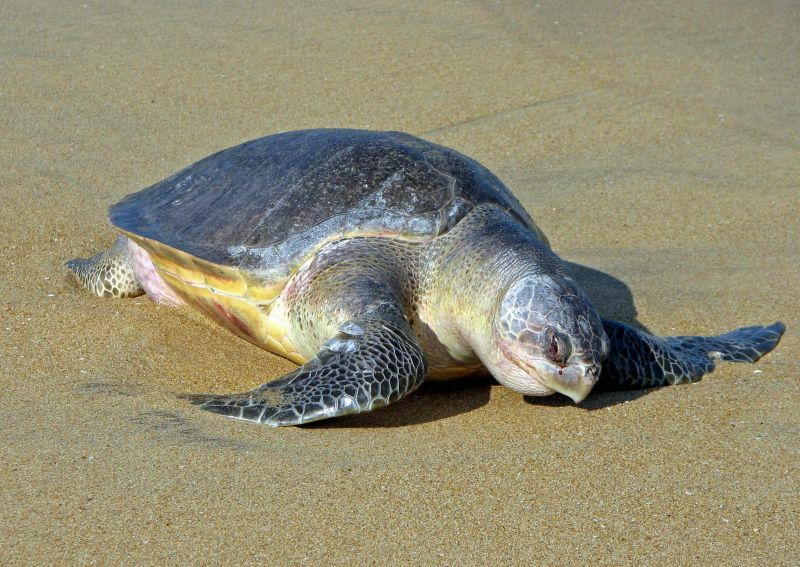 He cited a statistic showing that an olive ridley sea turtle was last spotted laying eggs in the national park in 1996. There have been no other sightings of the species laying eggs since then. The olive ridley is the smallest of the sea turtles, weighing up to 40 kilograms. It is found in warmer waters including the southern Atlantic, Pacific and Indian oceans. Its current status is listed as “vulnerable”. Mr Mongkhol said a cash reward of B10,000 was given to local resident Sahad Seeraya for informing park staff about the good news. The reward was from two local sea turtle conservation foundations.